While I really like our fall “Welcome” wreath, I wanted to change it up for Halloween to something more Halloween looking, and not just fall looking in general. 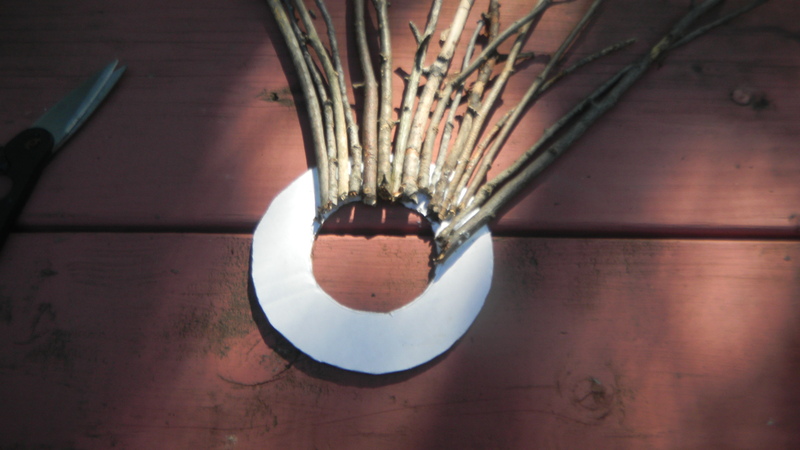 As I was visiting Wisconsin, I thought building a wreath using fallen branches would be a great way to keep this project green (and cheap). 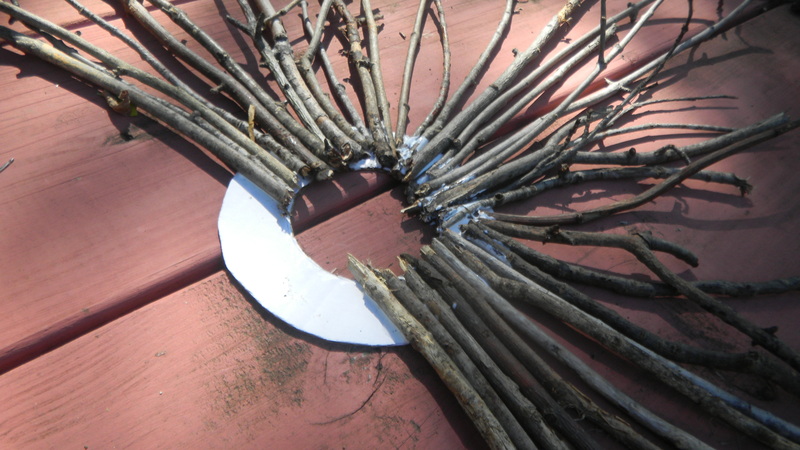 I started by gathering a ton of branches – some skinny, some wider. I knew I’d need the skinny ones to fill the wreath out as I worked. 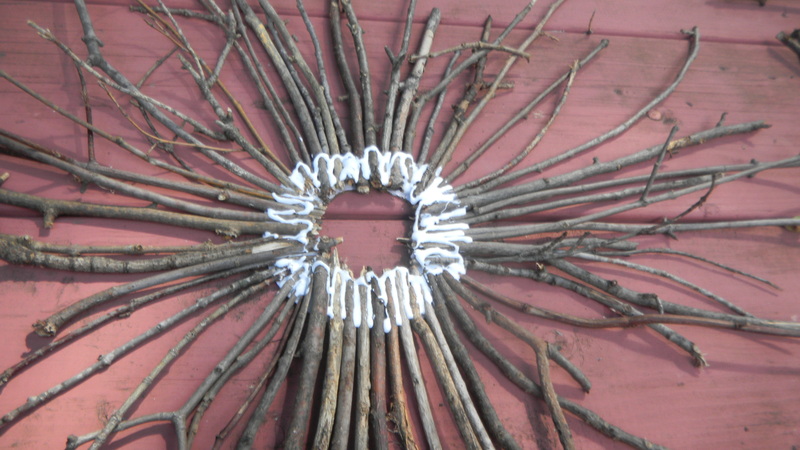 I didn’t have much to work with, so I wondered what I should use as the wreath form. 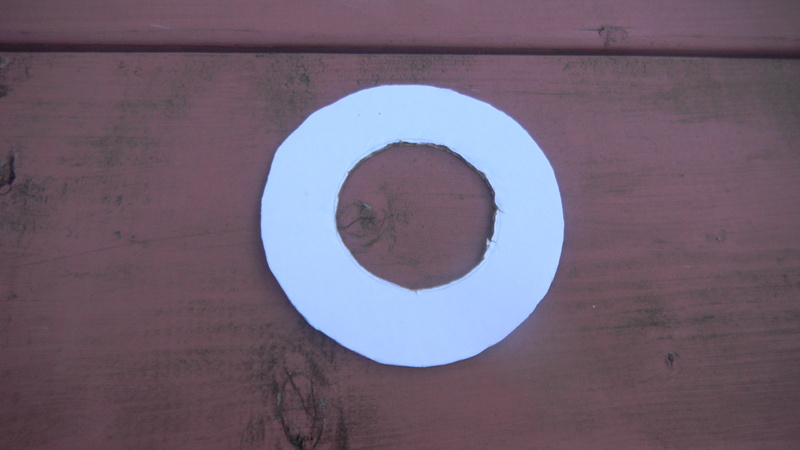 Well, we had pizza the night before, so I can just cut that into a circle and it should work fine, right? Right. 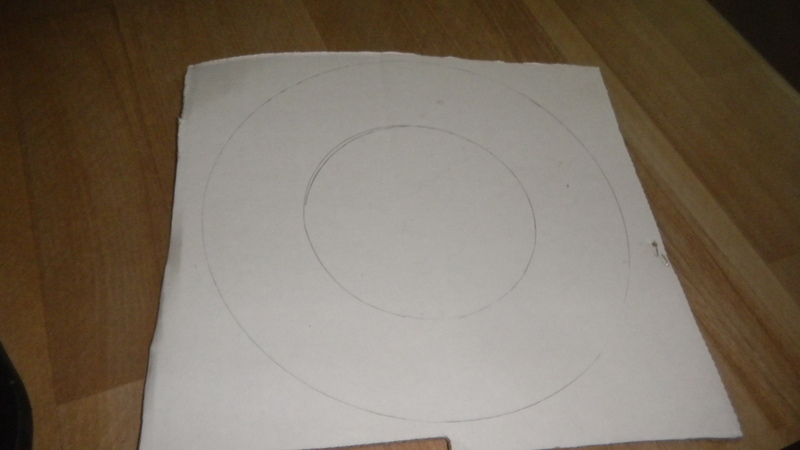 I just used a bowl at the house to trace a circle on the pizza box, and another, smaller bowl to trace the inner circle. Then, I cut it out. I started on the top and positioned and glued. All the way around. All that white stuff is the glue.I had to wait forever for it to dry so I could pick the thing up. 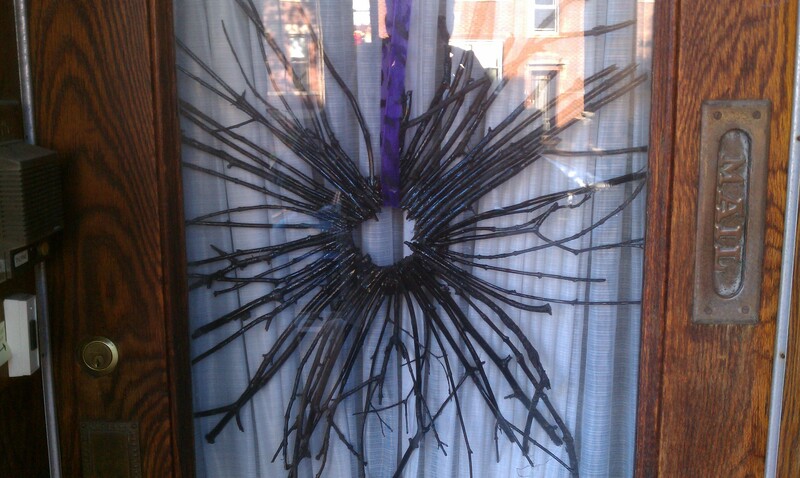 I like the natural wooden look, but this was supposed to be a Halloween wreath. Enter the glossy black spray paint. After a quick spray and dry, check out the shiny black goodness. Very creepy. To finish it off, I bought some Halloween ribbon at JoAnn’s (with a coupon!) to hang it. What do you think? Hope it attracts some trick-or-treaters! Oh, and total spent was about $6 for the spray paint and ribbon. 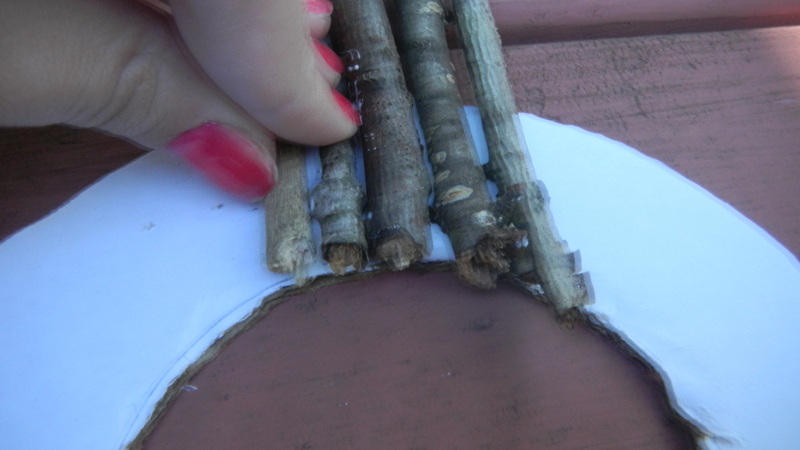 If you didn’t have glue, add another $1. Halloween is only two weeks away!